Money is short, but this doesn’t mean that we have to cut back on gifts during the holidays. Giving gifts is a tradition which makes everybody happy so it would be a shame to just throw it away. The best way to make sure that everyone is happy and at the same time not get into too much credit card debt is to organize everything before going shopping. Establish a budget and make sure you stick to it. Having your own Santa’s list will help remember everyone and what they should get; usually the adults are at the end of the list and the main concern is to keep the young ones happy. This doesn’t mean that adults don’t like receiving gifts but that they are not quite the main priority. Once you have the list with names and gifts, it can be easy to evaluate what the total cost should be. Here is where you can make the necessary changes if the total cost is too much or if there is still room for more gifts. Do your shopping online. This can help you save time and also money; not to mention that you don’t have to wait forever at the cash register. Most online stores offer you the possibility to choose your price range. This little tool ca be very useful because it hides all the expensive gifts you can’t afford but would seem like a good idea at the time. Buying gifts on a budget is all abut self control and although you want to get the best gifts, this doesn’t mean that they have to be the most expensive. Another great thing about getting your gifts online is that around the holidays, there are plenty of special offers to choose from. 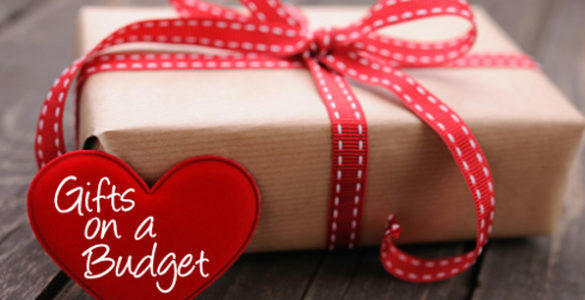 This will help you save money and be able to get more gifts for the same budget. Last but not least, don’t forget to get yourself a gift because even Santa gets milk and cookies.